Rabbinic Pastor/Chaplain Kate Shulamit Fagan is a dynamic teacher, vibrant storyteller, a mother, and a grandmother. She teaches nationally and locally on pastoral counseling, decisions at the end of life, ethical wills, the art of compassionate listening, and sacred story telling. She is well known for her creative Jewish life cycle celebrations. In 2001 she received smicha (ordination) from ALEPH Alliance for Jewish Renewal, a national organization which advances vital Judaism as an ethical and spiritual path. 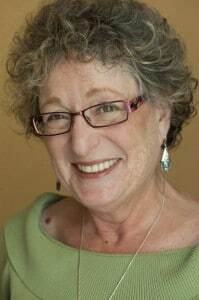 Kate Shulamit is the founding and current director of the ALEPH Rabbinic Pastor program, serves on the governing body of the ALEPH Ordination Programs, as well as the faculty of the ALEPH Hashpa’ah program – Jewish Spiritual Direction. Kate Shulamit facilitates spiritual direction sessions with Rabbinic and Cantorial students as well as groups and individuals. Want to tell stories that captivate your listeners? Want to supercharge your storytelling skills for sermons, spiritual direction, teaching, performance, chaplaincy or life cycle events? The Multifaith Storytelling Institute offers workshops and retreats throughout the year. Contact Shulamit to learn more. Contact Shulamit for more information about how Spiritual Direction might impact your life.